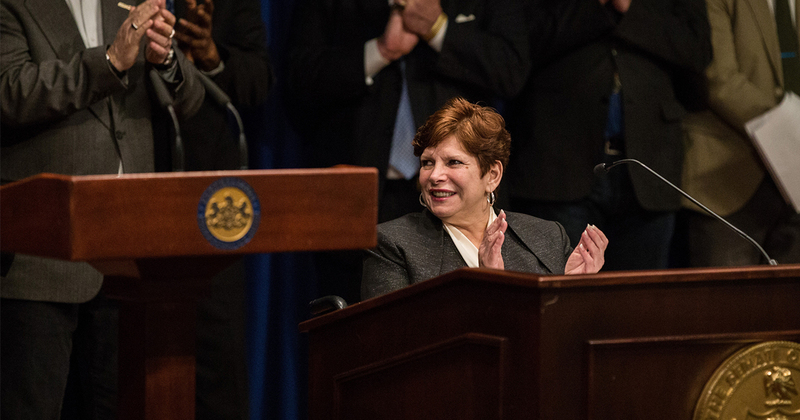 In February, I introduced legislation in the Pennsylvania Senate to give the state’s low-wage earners a much needed and long overdue raise this year, next year and for years to come based on a consistent, predictable and sustainable schedule for both workers and employers. Pennsylvania hasn’t raised its standard minimum wage ($7.25 an hour) since 2006 or its minimum wage for restaurant servers, bartenders and other tip-earners ($2.83), the so-called subminimum wage, in more than two decades. My Senate Bill 1044 and Sen. Art Haywood’s companion legislation, SB 1045, would lift hundreds of thousands of workers out of poverty-level wages, putting more spending power in the pockets of consumers while protecting business and employment across the Commonwealth. On March 21, the Philadelphia Inquirer, Daily News and Philly.com printed a guest commentary submitted by a Maine man who identifies himself as a $28 an hour waiter and founder of a new “employee advocacy” group that purports to protect tip-earners’ rights while fighting against “union-aligned interests that want to upend our industry.” The group recently branded itself Restaurant Workers of America, not to be confused with the Restaurant Workers Association, which supports the kind of measures that I and Sen. Haywood have proposed. The author, Joshua Chaisson, and his organization – which has at least two restaurant proprietors on its six-person board – has fought to preserve the hourly wage discrepancies endured by most tip-earners, arguing that wage equality will actually cost tip-earners money. In his column, he attempted to discredit my legislation and a long-established workers’ advocacy non-profit, the Restaurant Opportunities Centers (ROC), using unsubstantiated personal anecdotes and his distorted application of selected facts. But in his zeal to misrepresent verifiable data and legitimate academic research while repeatedly sourcing management-side blogs and anecdotal commentaries, the author ignored the elephant in the room: based on his own statements, he clearly is NOT a typical restaurant server and does not understand the professional and financial difficulties encountered by Pennsylvania’s 230,000 tip-earning hospitality industry workers. While he says he makes $28 an hour, tip-earners nationally have a median wage including tips of about $10.22, according to a 2014 Economic Policy Institute study. Half of them earn less than $10.22. By comparison, hourly workers in general have a median wage of $16.48 nationally. That means in one year, the median tipped worker makes just $21,257 – barely above the federal poverty level for a family of three – based on a 40-hour work week. Incidentally, all workers can thank labor unions for standardizing the 40-hour week almost 80 years ago. The same EPI report, co-authored by a Ph.D. and labor economist from the University of California along with a Georgetown-educated public policy researcher, further provides stunning data about the working poor, including those in the hospitality industry, which accounts for about 577,000 Pennsylvania jobs (tipped and non-tipped employees). Almost 13 percent of tipped workers live in poverty, nearly twice as many non-tipped workers (6.5 percent), while about 46 percent of tipped workers and their families rely on public benefits, compared to 35.5 percent for non-tipped workers. That means our wage structure for tipped workers places an unnecessary burden on all taxpayers. Furthermore, according to 2017 U.S. Department of Labor data, 11.1 percent of people who work in the “food service and drinking places” sector of the hospitality industry make below the federal minimum wage, compared with just 0.6 percent for all other private-sector industries combined. Food service and drinking place workers comprise one-tenth of all private sector workers, but account for two-thirds of all workers who earn less than minimum wage. So no, Mr. Chaisson, my legislation would NOT “actually lead to a pay cut” for restaurant servers. And no, it is not “rare” for tip-earners to come up short of prevailing minimum wage even with tips included, as he callously claimed. Likewise, tip-earners cannot rely solely on their employers to make up the difference in such instances, although business owners are legally required to do so. Just last month, the New York Times reported that the U.S. Department of Labor found 84 percent of full-service restaurants it investigated between 2010 and 2012 had violated labor laws, including but not limited to tip violations. And a 2012 study by the aforementioned Restaurant Opportunities Centers, along with the Philadelphia Restaurant Industry Coalition, found that 58 percent of workers surveyed around the city claimed they have experienced overtime wage violations, while 40 percent claimed they worked “off the clock” without getting paid. The survey also found that 10 percent said management took a share of their tips. Another pillar of Mr. Chaisson’s argument is that businesses couldn’t bear the brunt of paying fair hourly wages, that they’d fail financially and close at the expense of countless lost jobs. Indeed, the “tip credit” law has allowed restauranteurs and bar owners to avoid paying prevailing hourly wages for years. In a set-up unique to the industry and to the United States, gratuities count as wages even when they never (or should never) pass through the pockets of the employer. While it may be true that restaurants operate on razor-thin profit margins, generally three to five percent, it also may be true that about 60 percent of all restaurants fail within their first three years of existence. Both statistics appear in a restaurant management blog post that Mr. Chaisson cited in his column. Therefore, it should have come as no surprise that a bunch of allegedly popular restaurants closed their doors in New York State after the enactment of a statewide tipped-wage increase in 2016. It also should have come as no surprise if restauranteurs blamed the wage increase rather than their own business models. Another one of Mr. Chaisson’s sources, an anti-Andrew Cuomo opinion piece in Forbes, acknowledges that even with those New York restaurant closures, employment in the state’s full-service restaurant industry STILL grew in 2016. It grew at a slower rate than previous years, but grew nonetheless. Out on the West Coast, there’s additional research available involving the impact of minimum wage increases on California’s Bay Area. In his column, Mr. Chaisson relies upon another blog post from a conservative-leaning thinktank, the Washington Policy Center, to interpret the results of a 2017 Harvard Business School study. Chaisson hangs his hat on a conclusion that higher minimum wages resulted in an increase in restaurant closures in the region. What he didn’t report in his own column was that the study looked at localized wage hikes, not those enacted on a statewide level – as would be the case with my legislation. The Harvard study only reinforces the need for minimum wage uniformity, not like we see in Pennsylvania where all six of our bordering states are among 29 across the nation with higher minimum wages than we have. Another interesting conclusion emerged from the Harvard study, which was aptly titled “Survival of the Fittest”: minimum wage increases had negligible impact on highly regarded restaurants but had a much higher impact on those businesses rated poorly by their own customers. This again begs the question, are they really closing because of the minimum wage or are they failing to meet the demands of their own markets? Ominously, Mr. Chaisson’s column issues a stern warning to Pennsylvania legislators to “take note of what happened in Maine” last year when, he says, thousands of restaurant servers pressured lawmakers to reverse a minimum wage increase for tip-earners after 55 percent of voters had endorsed the raise in a statewide referendum. In the Maine House, 110 members voted for the repeal while 37 voted against. While it may make for compelling news fodder that a relatively small portion of an 80,000-strong workforce could have such a decisive impact, the fact remains that Mainers support raising the minimum wage and so do I.